I discovered this book when teaching 3K last year and it is now one of my favorites. 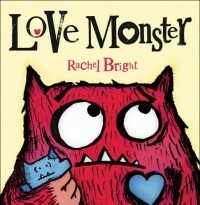 Such a cute story about a monster who lives in cutesville and can't find anyone like him. He searches and searches and when he's about to give up he meets a new monster friend. I would read this in a lower grade class to teach that not everyone is the same but we should all love one another.